Thirdly, 1.5 X 1.35 inches max dimensions. 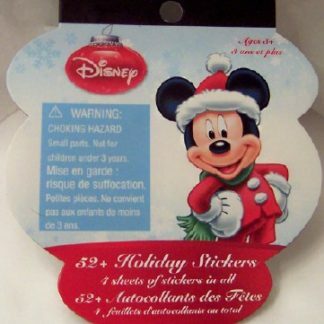 Finally, has#1 Post & #1 Mickey Pinback. Surely, this pin is will make your St. Patrick’s Day just a little more magical. 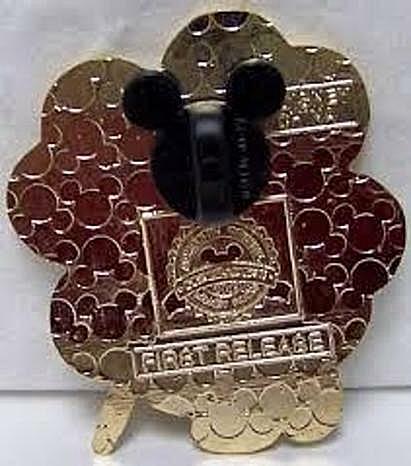 Indeed, this Disney Irish Mickey Pin New makes a great gift for yourself. 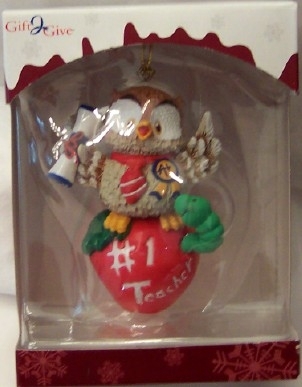 Or give it to someone you know. 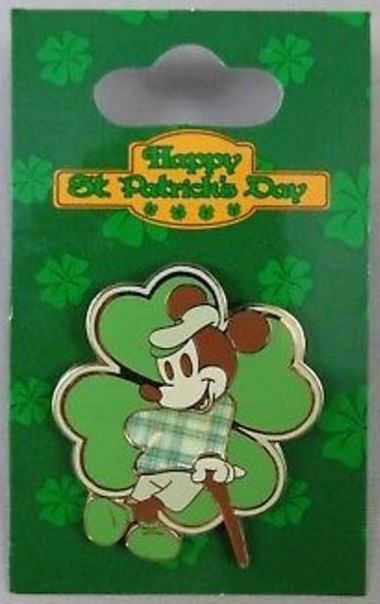 LET IRISH MICKEY HELP YOU OR SOMEONE YOU KNOW CELEBRATE ST. PATRICK’S DAY!!! 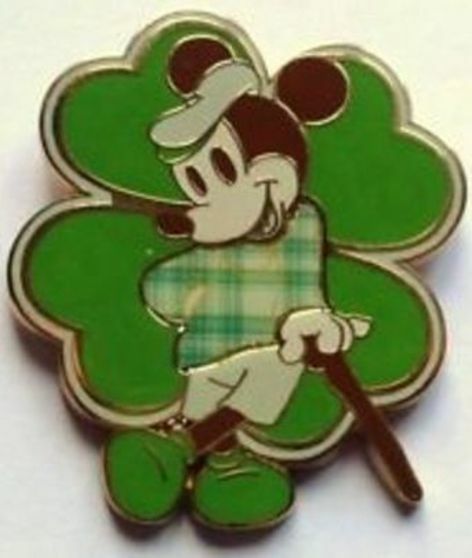 Mickey Mouse is shown sporting an Irish outfit surrounded by a shamrock. According to Irish legend, St. Patrick, patron saint of Ireland, first chose the shamrock as a symbol of the Trinity of the Christian church because of its three leaflets bound by a common stalk. 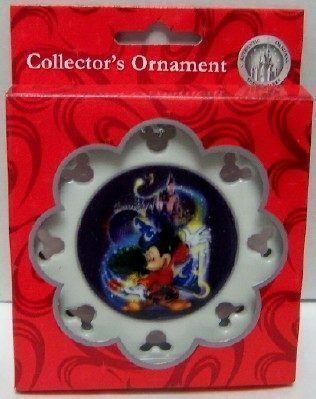 Surely, this pin is will make your St. Patrick’s Day just a little more magical.